Last weekend we went to see my sister and baby Juliana (and of course Noah and Uncle Ryan too). I have been excited to see Rori and Liam with the new baby--in anticipation of seeing how they might react to our new baby. I could tell that Rori was dying to hold her from the beginning, so I asked her if she'd like to hold her and she said, "yes" right away. She took to the baby like a little mother hen. It just melted my heart and made me want to cry--it was so precious. The whole day she was keeping tabs on baby Juliana and giving Auntie Jenna status updates. It was so sweet. Most surprising, though, was Liam. 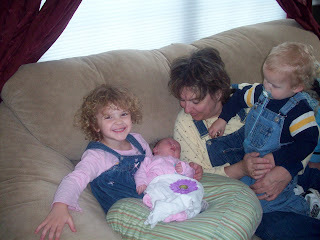 The first time Rori was holding Juliana, he climbed on my mom's lap and said, "hold too, hold too." And he held her and kissed her. You could tell he was trying to be gentle and loving on her. I was so happy. Of course I know things will most likely be different when he gets a new baby that stays and doesn't belong to someone else, but at least he has time to get to know and love a new baby, before ours comes. Yeah, it will be rough for Liam at first, like it's been for Noah, but Noah does little things now that let me know he's accepted that she's not just "visiting" anymore. 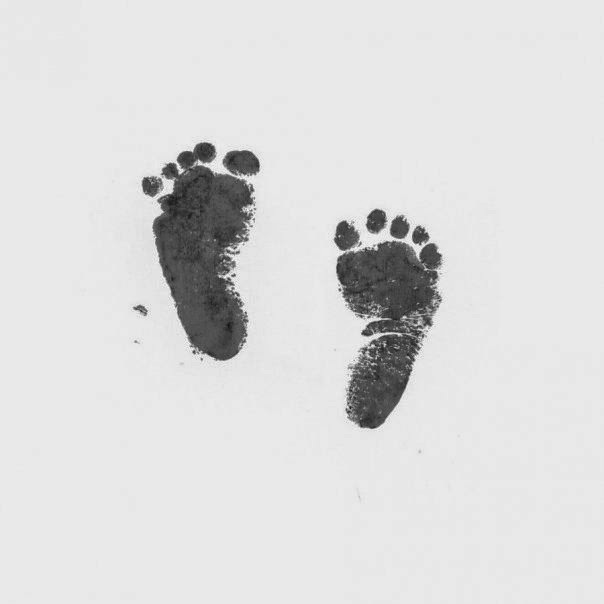 Today he put one of her feet in his hand and said "Tiny piggies". So sweet! They'll be like that with your baby too. 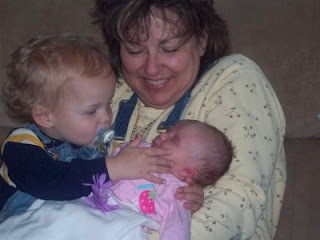 Christian and Keira have ALWAYS loved their baby brother. Don't worry about it! If he's that sweet with Juliana, he'll be an angel to your new addition in October! Cutie pies!